Every once in awhile something you have anticipated for a long time finally arrives. Sort of like waiting for Christmas when you were a kid. Well my kind of Christmas has arrived! EQ8 has been released. Wow. 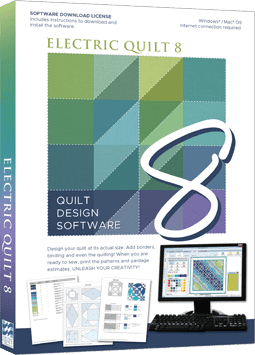 As a designer, a day doesn't go by that I don't use my EQ7 computer design software. I was thrilled to be given the chance to help beta test the new EQ8 and had a chance to play and learn. The new EQ8 has some features I really love, and will be telling you about a few of them over the next few weeks. The really good news, however, is that the order I placed for EQ8 upgrades is shipping today! That means that those of you who pre-ordered on my website last week (when my newsletter came out) will be getting your copy very soon! In addition, the EQ Blog is listing the top 10 new features of EQ8 and you might want to take a look at that if you want to see what's new and improved. Here is my favorite new feature: the updated user interface (start screen). The new interface is task-oriented making it so much easier to work with. When you open the program you have three options. 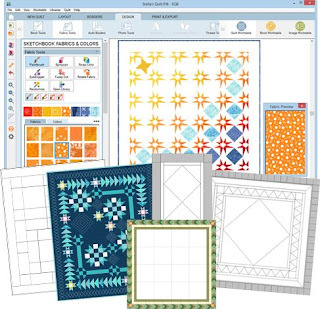 Design a quilt, draw a block, or import fabric. Wow. Now that is smooth and simple. 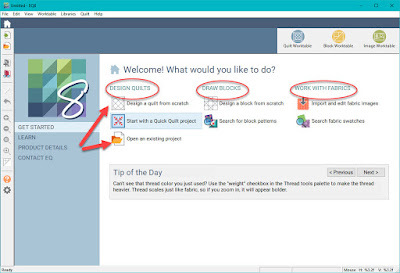 If you want to design a quilt you have 3 options: open a file you already created, open a new file for a new project, or use a Quick Quilt project. 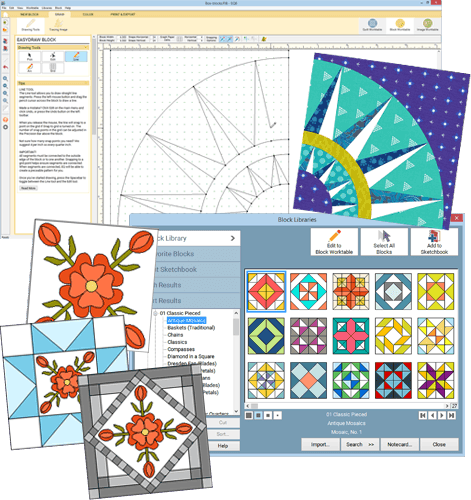 If you have never explored quick quilt, it has dozens of pre-designed quilts, even a new t-shirt quilt layout, that you can use as a starting point. Of course you can edit the color, fabric, size and style of any of these quick quilts. If you want to draw a block you have 2 options: design a block from scratch using the block drawing tools (more powerful than ever), or search for a block in the amazing new updated block library with more than 6000 blocks! 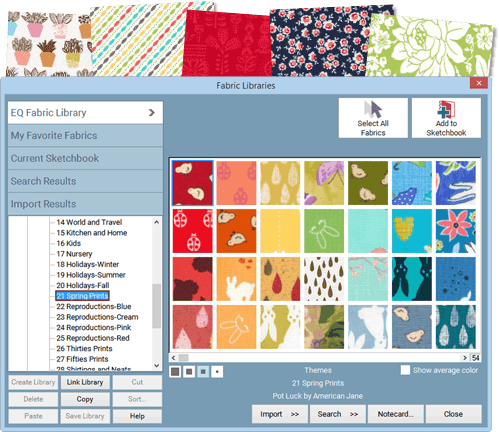 The coolest new feature of the interface is the ability to scan fabric right from the start screen to get your fabric into the program first, before you start to design. Many new features for cropping, sizing, straightening, and scaling your fabric scans are at your fingertips, and not hidden away in menus you have to hunt through. Of course I will be offering classes this fall and winter at Quilting Bits and Pieces in Eudora, KS. 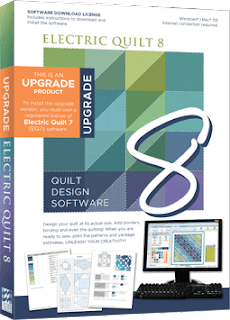 But I am also available to travel to your shop or guild to show you a preview (so you can decide if you want to buy it or not), or to teach you how to use the new version of EQ8 once you have purchased the program. 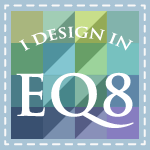 If you have EQ7 you can purchase EQ8 at a discount price right now! Currently it is $74.96 on the EQ website, but that price is an introductory special and won't last for more than a week or two. I have it on my website as well: www.morningglorydesigns.com along with a few other EQ products I carry. I am not a big retailer, but carry items which students typically request when I travel and teach. If you have EQ6 or EQ Mini you can still upgrade for a special price. Check out the EQ website for more information. The new stand alone EQ8 will be $239.95. It won't be available for a few weeks yet, I was told this morning, but you can still pre-order it for 25% off on the EQ website. 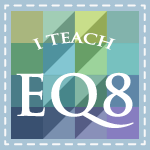 I have ordered a few copies of the complete EQ8 and will also offer them at a discount when they arrive. Both Mac and PC versions are available. Want to know more? Stay tuned. I will be working on tutorials all winter which you will find on my website. Frosty the Snowman. . . I always think of the animated cartoon film of Frosty and the two children when I hear this song. So when I designed my row based on this Christmas song, I wanted Frosty and lots of snow, but opted to leave the cartoon kids out. I hope you have been enjoying this incredible Christmas Carol Row A Long for the past several weeks. 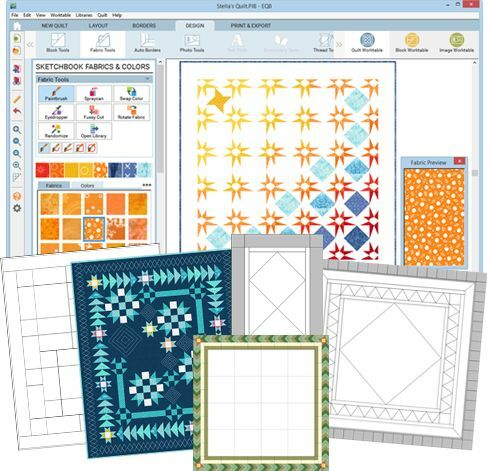 Each day you have been able to download a FREE row pattern and enter some fabulous give-a-ways. Here is my original design for my Frosty row. You can download the free pattern HERE for one week. The PDF file is large so give it a minute to download before freaking out. Save it to your computer first, then open and print the file. I made a few changes as I built my row, mostly some fabric choices trying to draw from my stash as much as possible. My finished row is 10 x 30" (10.5" x 30.5"). Here is how I put it together. I auditioned a variety of fabrics from my stash and decided on the background fabric first, and then chose the applique fabrics which would contrast well with the background. I traced all of my applique templates onto the back of my fusible web. I use Steam-A-Seam Lite 2. I prefer it because it is very light weight, and has a slight sticky surface which adheres to the fabric while you are positioning pieces. When drawing large applique shapes I cut the fusible web out of most of the middle of the shape before fusing it to the fabric. This is called "windowing" and keeps your applique from getting stiff when you are working with overlapping layers. For the snowman body and head you can see how I cut out most of the inside of the fusible web leaving about 1/4" around the inside of the traced line. On smaller pieces, like the arm in the bottom of the picture, i don't bother cutting out the middle. You can see how I cut out the fusible web from the middle of the tree shape in this picture. Once I have traced all my templates I cut them apart and separate them by color and fabric. Then I press each fabric and fuse the templates onto the BACK side of the fabric. Since there is paper on both sides of the fusible web, be sure you are tracing on the side with the web attached. Then remove the loose paper before fusing but leave the paper on the web intact. This paper will be removed after the template is fused and trimmed and ready to position on your row. My tree was the first element to put on my background. I sectioned off my background into equal segments and marked the segments on my block drawing. That allowed me to position pieces on the background more easily. Since I cut my background slightly larger than my finished size (11" x 31") I positioned my tree just a bit in from the edge of the background. When all the applique is applied and stitched down I will trim the finished row to 10-1/2" x 30-1/2". I only needed half a star for the top of the tree so I assembled the pieces on an applique pressing sheet (parchment paper also works) on top of my fabric so I could see the tree through the pressing sheet. I pinned the pressing sheet to the fabric so I could position the star parts right on the edge of the row. I like to use bent nose tweezers to position the applique on the pressing sheet. Then I iron it to the pressing sheet using a hot steam iron. Allow the motif to cool before peeling it off the pressing sheet. After it is removed I place the pressing sheet UNDER the background fabric. That way when I fuse the star to the top of the tree and the background fabric, the parts that hang over the edge won't get fused to my ironing board! After the star is fused I want to trim off the excess. I move to the cutting table to trim this with a ruler and my rotary cutter. You can see that I have left enough to get caught in the seam allowance when I join rows or add sashing. Next I assemble the snowman on the applique pressing sheet. Can you see him? He sort of blends in to the applique pressing sheet! But I wanted all his parts to fit together before I positioned him on the background fabric. Once Frosty was altogether I placed him on the background fabric and started to add his hat, hatband, and flower. I fused all of this in place at this point because all the rest of the details sat on top of Frosty. Here I added his face. I kept my template reference and picture nearby so I could check my placement. The last step in assembling Frosty was the greenery I used to decorate his bottom. You could leave this off if you prefer him sitting in the snow. I had "help" from my Siamese cat "Buster" who was determined to assist with the placement of the buttons on Frosty's front. He insisted on overseeing most of the assembly, although I strongly urged him to oversee from the floor instead of from my ironing board!! Next were the snowflake stars. I love the way they turned out, but I have to admit they were a booger to cut out. That being the case I opted for three snowflake stars instead of the four I had originally designs. Small sharp embroidery scissors really made the cutting out much easier. I fused the white diamonds to the blue center first, then tucked the ends of the 8 branches under the edge. Once the whole snowflake star was positioned on the background fabric I fused it in place. I started with the largest snowflake star and then did the two smaller ones. Here is my final finished row. The last thing I will do to complete my project is to layer my batting and backing, and edge stitch all of the applique pieces in place through all the layers. This will quilt and applique in one step. When all the quilting and edge stitching is done I will bind the row to make a door hanging for my front door this winter! Hope you enjoyed this tutorial and have fun making this row! Shipping Is Anywhere / Shipping Cost must be paid by winner. I will start announcing winners on September 12, 2017, and finish announcing winners on October 12, 2017. The September free block of the month is ready and available to download from the 2017 BOM tab on my blog. It is an easy paper pieced block this month. I would love to see pictures of your progress on these blocks. Join my Facebook Fair Isle Winter Group to post pictures and get inspired by others. 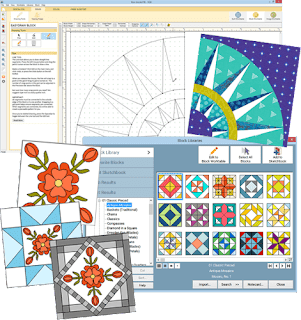 The Free September block is Urban Star. Here is the sample block made by my intrepid pattern tester Sue Fyfe. 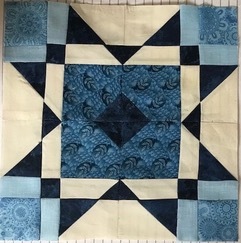 She does an amazing job each month interpreting the block in her own fabric choices. The Bonus Block this month is super easy also. Just two templates and three fabrics (if you count the background fabric). It looks so fussy but it is really very easy to make. You can purchase it on my website or get it free by subscribing to my newsletter. I can never decide if I prefer the blue on a white background. . . . .
or the white on a blue background. 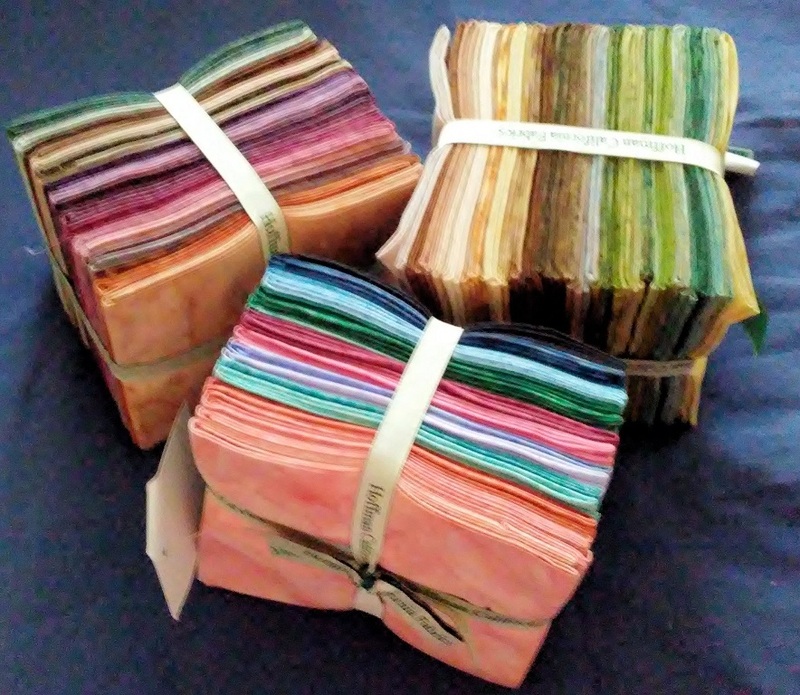 Both would go great as alternate blocks in a 4-block or 9-block quilt. Maybe like this? Does this quilt look skewed to you? Its a funky optical illusion based on the directional properties of the blocks. . . .or something! Or is it just me? One of my favorite quilt patterns is on sale for half price this month. September's flower(s) of the month is Morning Glories and Asters. I try not to have favorites, because I don't want my quilty children to know I love one more than the others, but I kinda LOVE this table runner. Two other favorite patterns are half price this month as well. Black and Gray Reflections is a great man-quilt, and so is the bold colors of Twisted Argyle. These would make great man quilt Christmas gifts and you could get either of these done easily by December. Buster really liked this quilt. He thinks I made it just for him and was laying on it to try and blend in. Anything that big and furry is not going to "blend in" no matter what!!!! Tomorrow the grandkids are coming for a week. I love those babies like crazy. How I wish I was 35 again and could keep up with them. Even if I can't go back in time, they make me feel young just being around them. Next weekend I start a marathon of vending at local quilt shows. If you are in the area I hope you stop by to see my booth and say hello. September 15-16 I will be at the North Kansas City Quilt Guild show at the Salvation Army in North KC. 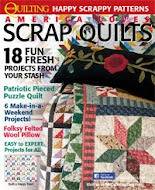 This is always a great show with fabulous quilts and LOTS of vendors. September 22-23 I will be vending at the Town & Country Quilters Guild show in Joplin, MO. This is a new venue for me and I am looking forward to meeting a lot of new people down in the Joplin area in south-western Missouri and south-eastern Kansas. September 30-October 1 I will be at the Quilt Show in Marshall, MO. Another new venue for me I am excited to see some old friends and meet new ones out in north-central Missouri. Stop in and see me to pick up a pattern or two, or just to say hi! If I am still alive by October send a get well card. I have been inundated with emails and calls this week from subscribers who could not open their free block of the month in the August Newsletter. 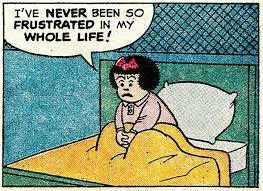 Let me just say for the record, I feel your pain. Now, go read this post. Yup, there are those who come back and say, "it's still not working, what should I do?" I gotta tell you this really gets me frustrated (RANT BEGINS HERE) because I take each of these calls and letter seriously and try to help them troubleshoot the problem. Sometime I even revert to sending the file cuz I am so tired of typing the same thing over and over. But that has burned me to, because i get countless requests to send files and I don't have the time to do that. Plus, My work is copyright protected and it gets passed around from friend to friend when it is free and easy to get. I get ripped off every day by otherwise good people who ignore my copyright and share my patterns with friends, or shops that copy a pattern and sell it without paying me for it. Good hearted people just like you. Of course YOU don't ever share my patterns with others. You tell friends to go and download their own free copy! But I am not a computer geek and I cannot troubleshoot your computer. I am a pattern designer that provides a free service for my subscribers. I am constantly on the phone with my web site tech people trying to find out why things go wrong at times and beg them to fix it fast. For example I just found out yesterday that when people write to me from the CONTACT REEZE page on my website that the emails do not come to me!!!! 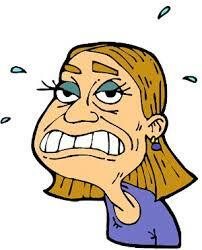 I get angry customers on the phone who ask why I did not respond to their email, and I dumbly respond, "What email?" Sheesh, I finally went on the website and found out how to locate those email in the site archive and there 156 of them!!!! LET ME REPEAT. 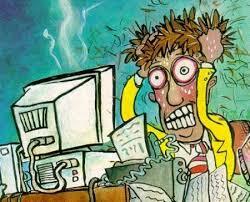 . . .156 emails to me with questions and problems, and even some store orders that I never got! I was sick. As in wanna puke sick because that was 156 people I have let down. I was on the phone with my website faster than you can say WTF, and asked them to fix it ASAP. In the meantime I tried to trouble shoot the form myself and it all looked good and was pointing to the right email!!! 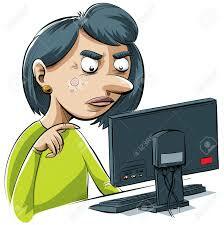 So if you have written me from my contact form on my website, and I have not responded, I am sorry. I did not blow you off. I just never got your email. All 156 of them. &%($%#*&^&)*&^. Now, I know it is NOT YOUR fault and I should not vent my frustration on you, my faithful and loyal subscriber. So if I have managed to not piss you off yet, I want to tell you what I have done to try and fix at least one of the problems you are experiencing. I set up a page on my site with a "secret link" for subscribers only to click on and download my free blocks. How do I get the "secret link" you ask??? I will put it in every newsletter rather than the current blue buttons which go through my email service. 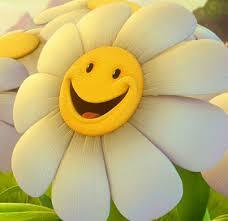 It is nice to get the stats showing how many people clicked on each button but it is nicer to have happy customers!